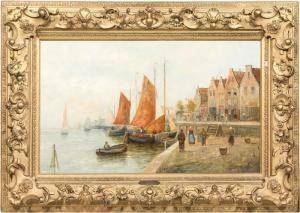 Find artworks, auction results, sale prices and pictures of R. Monti at auctions worldwide. R. MONTI (European, 20th Century) Condition: Good with restoration to include patches on verso, in-painting in several areas. Created: (20th Century). Frame: Molded giltwood. Medium: Oil on Canvas. Signature: Lower Right "R. MONTI". 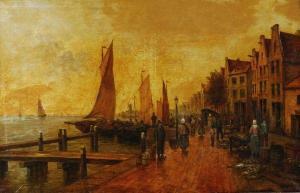 Title: DUTCH VILLAGE WITH BOATS AT DOCK Work Size: 27" x 42" Condition: Item Dimensions: Framed: 31-1/2" x 46". Lot 144: R. Monti. 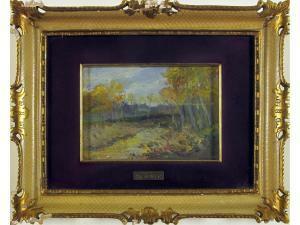 Description: With old patch restoration and in-painting, small patch with horizontal repair in upper right sky, patch with small repair at roadside lower right foreground, in-painting upper left corner in sky, palette remains strong and vibrant, good to very good overall.Dates: (20th Century).Frame: Molded Gold Gilt Wood.Medium: Oil on Canvas.Signature: Lower Right "R. MONTI".Title: "Dutch Town Docks Village Scene" Condition: Dimensions: Framed: 31-1/2" x 46". Two patches to reverse, extensive retouchings, craqueleure and shrinkage, needs extensive restoration. 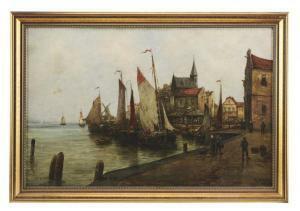 R. Monti, Dutch Harbour scene, signed, on relined canvas, 48cm x 82cm.